Below you can find a small selection of some of our past detailing projects. Labour of love, with hundreds of hours dedicated on bringing the M5 always one step closer to perfection. The complete Style 65 Shadow Chrome wheel refurbish. The Carbon Black smooth daily driver detailed to pristine condition. Vorsprung durch Technik applied to a comfortable daily driver, now with a new gloss after its first detail. A new car protection detail, this B7 RS4 in Sprint Blue received the care that Audi was not able to give. An Alpine White E28 from 1984, forgotten in Monaco for many years. Decades of grime removed. Restoring the shine and glory to this beautiful M-Techniq 535i. One of the best 3.6l M5s on the roads of the Netherlands. The M5 that convinced me that Carbon Black is indeed a very special color. A quick detail to an M5 that is used to travel all around Europe. After 260 000km, this M5 was completely turned around. Beauty returned to the Beast. Restoring one of the most neglected M5 interiors and engine bay yet encountered. 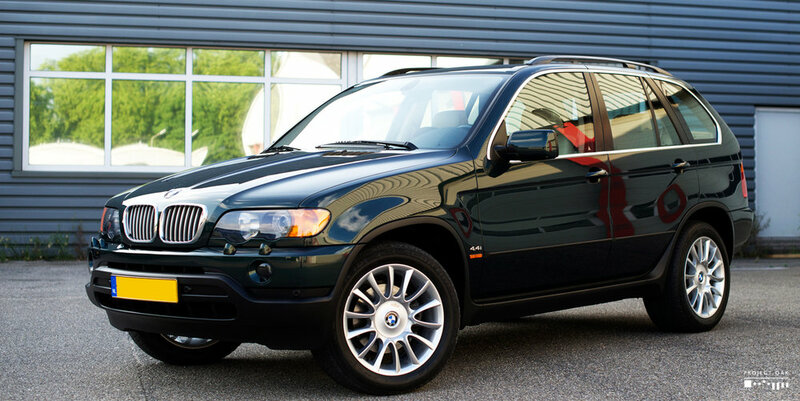 The very first BMW SUV with only 30 000km. Perfecting a rare Daimler Super Eight.